In “Dog Years,” Burt Reynolds stars as an aging, former movie star who is forced to face the reality that his glory days are behind him. A tale about faded fame, but at its core, a universal story about growing old. Also starring Ariel Winter (Modern Family). A funny and ultimately touching cross-generational comedy. 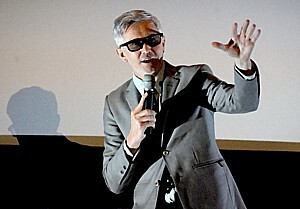 The film is part of the Gold Coast International Film Festival. the influential Long Island radio station on the cutting edge of music in the 1980s. The festival’s Spotlight Film is Darkest Hour starring Gary Oldman, whose brilliant performance as Sir Winston Churchill drives this historic account of the early days of World War II. Festival events will take place at venues across the storied Gold Coast of Nassau County, and the public is guaranteed an exciting week of films, parties, filmmaker Q&A’s, and glamour. Underfire: The Untold Story of Pfc. Tony Vaccaro will be shown at 3:30 p.m. and Supergirl at 3:00 p.m.
Underfire is the remarkable story of WWII infantryman and legendary photographer Tony Vaccaro, who created one of the most comprehensive, haunting and intimate photographic records of the war using a smuggled $47 camera while developing the negatives in his helmet at night. Tony Vaccaro, Director Max Lewkowicz and Producer Valerie Thomas will participate in a post-screening Q&A session, followed by the opening reception of Tony Vaccaro’s acclaimed, wartime and celebrity photography at the Gold Coast Arts Center Gallery in Great Neck. Naomi Kutin, an Orthodox Jewish pre-teen girl with an extraordinary talent – holding a world record in powerlifting is the subject of the film “Supergirl,” to be shown at the Gold Coast International Film Festival. The film’s director will join Naomi and her family for a Q&A following the movie. family for a Q&A following the movie. “The Duck” Dunn, Michael “Eppy” Epstein, Max Leinwand, Steve North, Carol Silva, Donna Donna and “Malibu Sue” McCann. Darkest Hour will be screened on Monday, November 13 at Soundview Cinemas in Port Washington. The film, which is receiving rave reviews for Gary Oldman’s portrayal of Sir Winston Churchill, will be followed by a Q&A with Churchill’s granddaughter and world-renowned sculptor, Edwina Sandys. 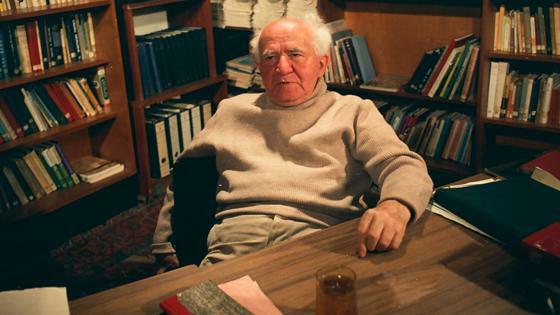 “Ben-Gurion: Epilogue,” a documentary compiled from six hours of never-before-seen footage of conversations with Israel’s founding father, is a work of undeniable historical significance with prophetic implications for Israel’s future. The screening at Gold Coast International Film Festival on Wednesday, Nov. 8 will be followed with a Q&A with Alon Ben-Gurion. Other standout films and events at this year’s festival include more than 40 premieres, including French movie-star Isabelle Huppert’s new film Souvenir; Burt Reynold’s new film Dog Years; Bombshell: The Hedy Lamarr Story; and the timely Bill Nye: Science Guy. The festival is also featuring Yellow Birds, starring Jennifer Aniston, Toni Collette, Alden Ehrenreich and Tye Sheridan, Ben-Gurion, Epilogue about Israel’s founding father, with a live post-screening Q&A with David Ben-Gurion’s grandson Alon Ben-Gurion; the delightful documentary Hummus! The Movie, followed by “The Great Gold Coast Hummus Taste-Off” at Lola; and the East Coast premiere of the Iranian film Gholam, starring Shahab Hosseini, star of the 2016 Oscar-winning film The Salesman, which premiered at last year’s festival. On Saturday, November 11, the festival will celebrate the 60th anniversary of the Oscar-winning Hollywood musical Pal Joey, starring Frank Sinatra, Rita Hayworth and Kim Novak. Sinatra’s granddaughter, Amanda Erlinger will be on hand for a Q&A following the screening. immortals Frank Sinatra, Rita Hayworth and Gary Cooper and many more industry stars will also be presented. Award-winning feature films from the world’s most prestigious festivals (Cannes, Toronto, Sundance, Tribeca, Hamptons) will be shown, along with dozens of excellent short films. Can Bill Nye show the world why science matters in a culture increasingly indifferent to evidence? With intimate and exclusive access, this documentary is a behind-the-scenes portrait of “the Science Guy,” as he inspires Millennials to participate in STEM. 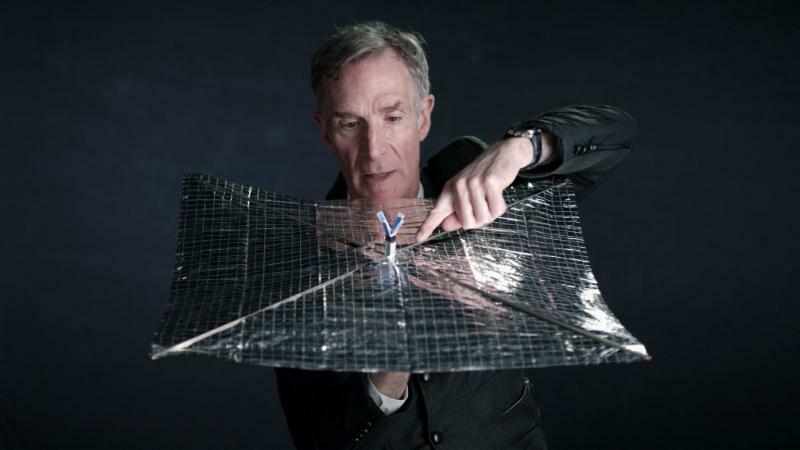 With wonder and whimsy, the film follows Bill’s journey to change the world… with science. This year, GCIFF again presents the work of talented young filmmakers in grades K-12 in our Young Filmmakers Program, presented in partnership with Hofstra University. 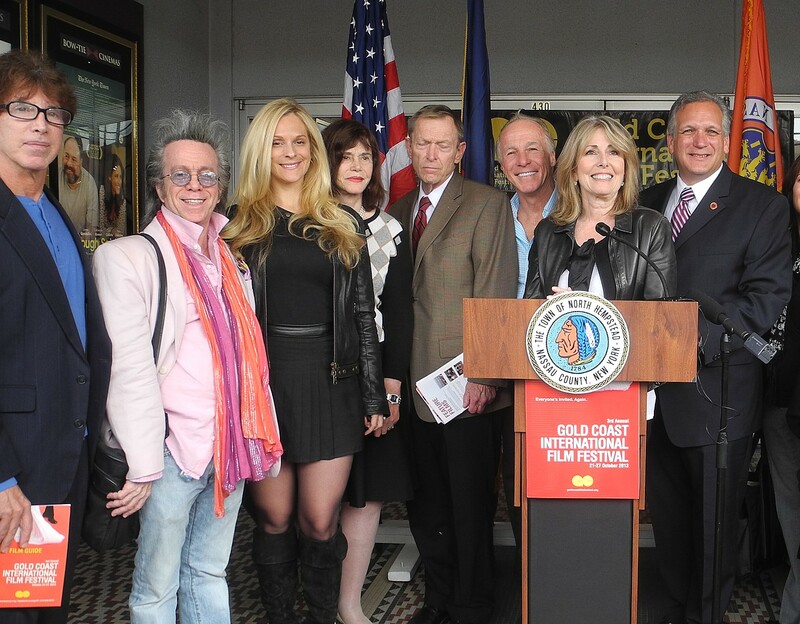 Sponsors and partners of this year’s Gold Coast International Film Festival include: founding partners, the Town of North Hempstead and Douglas Elliman Real Estate; major partners, Hofstra University and the Nassau County Industrial Development Agency; as well as Neiman Marcus Garden City; GEICO; Deluxe Entertainment Services Group; AARP Long Island; A.L. Sarroff Fund; Katten Muchin Rosenman LLP; The Katz Institute for Women’s Health at Northwell Health; St. Mary’s Kids; , Jet Blue; Biener Audi; LVR Rental; The Inn at Great Neck; The Andrew Hotel; WLIW21; Altice; New York Women in Film & Television; Anton Publications; Blank Slate Media; LI Pulse; Edelman Financial Services, LLC; and LOLA of Great Neck. Q&A with Director Jessie Auritt and the “Supergirl” herself! When a nine-year-old girl breaks a powerlifting world record, she turns into an international phenomenon – and “Supergirl” is born. Naomi Kutin seems like a typical New Jersey Orthodox Jewish pre-teen until her extraordinary talent transforms the lives of her family and thrusts her into news headlines. Supergirl follows Naomi’s unique coming-of-age story as she fights to hold on to her title while navigating the perils of adolescence—from strict religious obligations to cyber-bullying, to a changing body, and on top of that, health issues could jeopardize her future in powerlifting. Compiled from six hours of never-before-seen footage, the discovered conversations with Israel’s founding father present a rare and fortuitous piece of cinematic archeology. A work of undeniable historical significance with prophetic implications for Israel’s future. Rita Hayworth, Frank Sinatra and Kim Novak star in this Academy Award-winning musical gem celebrating its 60th anniversary this year. Joey Evans (Sinatra) is a second-rate singer known for his womanizing ways. When he meets Linda (Novak), a naive chorus girl, he has stirrings of real feelings. However, that does not stop him from romancing a former flame and ex-stripper, now society matron Vera Prentice-Simpson (Hayworth). With a great cast and book and a score full of unforgettable songs, you won’t want to miss this rare chance to see this Technicolor classic on the big screen. It Unites! It Divides! It’s Delicious! An eclectic, touching film about Hummus, the delicious super food sweeping across America. Includes secret recipes, a Guinness World Record and the power of Hummus to bring Muslims, Christians and Jews together – in the Middle East, America and around the world. U2, Talking Heads, Depeche Mode, Blondie, Duran Duran, The Clash, The Cure: Over half a billion records sold but you may never have heard of them if not for a small suburban radio station on Long Island, NY: WLIR. The story of the small group of radio visionaries who changed the sound of radio forever by battling the FCC, the record labels and mega-radio to create a musical movement that brought the New Wave to America. Academy Award nominee Gary Oldman’s brilliant performance as Winston Churchill drives this story of the early days of World War II. Britain faces its darkest hour as the threat of invasion looms. As the seemingly unstoppable Nazi forces advance, the fate of Western Europe hangs on the leadership of the newly-appointed British Prime Minister. While maneuvering his political rivals, he must confront the ultimate choice: negotiate with Hitler and save the British people at a terrible cost or rally the nation and fight on against incredible odds. The festival will finish on Wednesday November 15 with a Closing Awards Lunch at the cafe at Neiman Marcus Garden City (in Roosevelt Field), noon to 2pm. The lunch will also be the launch of the Neiman Marcus ”Love to Give” Collection. 10% of the proceeds from the sale of the ”Love to Give” items goes back to the Arts Center. The 2016 Gold Coast International Film Festival announces an exciting slate of films for this year’s Festival taking place November 9 – 15, 2016 in venues throughout the north shore of Long Island, and once again – everyone’s invited to join us in an exciting week of films, parties, filmmaker Q&As, and glamour! The Festival kicks off with a special sneak peek screening of Burn Your Maps, starring Jacob Tremblay (Room) and Academy Award nominee Vera Farmiga to be held on November 10, 2016 at Soundview Cinema in Port Washington. On November 12, also at Soundview Cinemas, GCIFF will host the Long Island premiere of Bang! The Bert Berns Story, a documentary narrated by Steven Van Zandt about the life and career of Bert Berns, the renowned 1960s songwriter/producer whose hits include “Twist and Shout”, “Piece of My Heart”, “Hang on Sloopy” and many more. A Q&A with Directors Brett Berns (Bert Berns’ son) and Bob Sarles will follow the screening and Brett Berns will accept an Artist of Distinction Award from the Gold Coast Arts Center on behalf of his late father. Other standout films include the Long Island premiere of French movie-star Isabelle Huppert’s new film Things to Come, direct from the Toronto International Film Festival, Harry Benson: Shoot First, followed by a Q&A with the legendary photographer himself and On the Map, the incredible story of how the 1977 Maccabee Tel-Aviv basketball team toppled the four-time defending Soviet team and put Israeli basketball firmly on the map. Director Dani Menkin and basketball star Tal Brody will be in attendance for a Q&A. The sixth anniversary of the not-for-profit Festival will feature over 60 films and dozens of filmmakers at screenings and events in venues throughout the Town of North Hempstead region, including Soundview Cinemas in Port Washington, the Bow Tie Cinemas in Great Neck/Port Washington/ Manhasset/ Roslyn, the Gold Coast Arts Center in Great Neck and the campus of LIU Post. Films this year showcase Hollywood’s best actors including Gabriel Byrne, Nathan Lane, Frank Langella, Melissa Leo, James Franco, Christina Applegate, Billy Crudup, Catherine Deneuve, Vera Farmiga, Jacob Trembly, Geoffrey Rush, Sam Neil, Isabelle Huppert, Alex Karpovsky, Rachel Brosnahan and many more industry stars. Award-winning feature films from the world’s most prestigious festivals (Cannes, Toronto, Sundance, Tribeca, Hamptons) will be screened, plus over 25 incredible short films, with Q&As with visiting shorts filmmakers. Filmmakers and special guests scheduled to attend include: renowned photographer Harry Benson, Matthew Miele (Harry Benson: Shoot First), Lawrence Smith (Mad Riot Entertainment), Dani Menkin (On the Map), Scott Rosenbaum (Sidemen: Long Road to Glory), Scott Sharrard, touring guitarist and musical director for The Gregg Allman Band, basketball superstar Tal Brody, Kate Keckler Dandel (Gold Balls), Brett Berns and Bob Sarles (Bang! The Bert Berns Story), Charlene Fiske (The Founders), Ferne Pearlstein (The Last Laugh), Amir Kishon, son of renowned Israeli satirist Ephraim Kishon, legendary Hollywood agent, Budd Burton Moss, plus many more. New York filmmakers will be highlighted at this year’s Festival in New York Spotlight program, a free event on the campus of LIU Post on Thursday November 10 at 11:30am that features short films by local filmmakers or about local subject matter. Lawrence Smith (Mad Riot Entertainment) and David Paterson (The Great Gilly Hopkins, Bridge to Terabithia) will lead a panel of many of the filmmakers screening their films during the program. Local filmmakers in attendance include Dale Arroyo, Gordon Grinberg, Neil Holland, Ramfis Myrthil, David Schneiderman and Max Stossel. For tickets to all screening and events visit www.goldcoastfilmfestival.org. Over the past six years, the festival has brought the latest Hollywood hits and Indie favorites to standing room only audiences throughout the fabled Gold Coast of Long Island. Add A-list celebrities and unforgettable events to the mix and it’s easy to see why GCIFF has become the “go to” Festival for film buffs and the public (it is also the last major film festival on the East Coast before Awards season). The Festival is produced by the not-for-profit Gold Coast Arts Center. Previous honorees and special guests of the festival and the Gold Coast Arts Center include film industry VIPs Francis Ford Coppola, Hugh Grant, Baz Luhrmann, Brian Dennehy, Paul Sorvino, Ed Burns, Bruce Dern, Isabella Rossellini, Lou Diamond Phillips, Morgan Spurlock, Eli Wallach, Gabriel Byrne, Bill Plympton, Phil Donahue, Phylicia Rashaad, Joan Allen, Jay McInerney and Michael Cuesta, as well as composer Morton Gould, artists James Rosenquist, Oleg Cassini, Edwina Sandys and Bob Gruen, comedian Susie Essman, Broadway stars Kelli O’Hara, Melissa Errico and Savion Glover, and 4-time Oscar winner for production and costume design Catherine Martin. Sponsors and partners of this year’s GCIFF include founding partners the Town of North Hempstead and Douglas Elliman Real Estate, longstanding major partners LIU Post and Nassau County IDA as well as Neiman Marcus Roosevelt Field, Deluxe Entertainment Services Group, AARP Long Island, A.L. Sarroff Fund, Katten Muchin Rosenman LLP, The Katz Institute for Women’s Health at Northwell Health, LVR Rental, Samar Hospitality, The Andrew Hotel, Stella Artois, The Amsterdam at Harborside, Metropolitan Commercial Bank, Biener Audi, Jet Blue, WLIW21, Altice, New York Women in Film & Television, Anton Publications, Blank Slate Media, CareConnect, Edelman Financial Services LLC, LOLA of Great Neck and many others. Music meets the Mob in this biographical documentary, narrated by Steven Van Zandt, about the life and career of Bert Berns, the most important songwriter and record producer from the sixties that you never heard of. His hits include “Twist and Shout”, “Hang On Sloopy”, “Here Comes The Night” and “Piece Of My Heart.” He helped launch the careers of Van Morrison and Neil Diamond and produced some of the greatest soul music ever made. Filmmaker Brett Berns brings his late father’s story to the screen with interviews with those who knew him best and rare performance footage. Included in the film are interviews with Ronald Isley, Ben E. King, Solomon Burke, Van Morrison and Paul McCartney. OFFICIAL SELECTION – SXSW, Seattle Int’l Film Festival. Q&A following the film with Directors Brett Berns (Bert Berns’ son) and Bob Sarles. Meet legendary Hollywood talent agent, author, and producer Budd Burton Moss for an in-depth discussion and multi-media presentation on his extraordinary life, career and friends, including Sidney Poitier, Marilyn Monroe, Rita Hayworth, Larry King and many more. Having grown up in Hollywood where his father, Louis B. Moss, was a Film Editor at Fox and his uncle, Sam Zimbalist, produced Ben Hur, Quo Vatis, and Mugambo at MGM, Budd Burton Moss’ life had an extraordinary beginning. Starting out with acting ambitions and then transitioning to a talent agent, Moss found himself in the company of countless Golden Age stars such as Clark Gable, Marilyn Monroe, Betty Grable, Tyrone Power, Spencer Tracy, Katherine Hepburn, and Sidney Poitier (who was Best Man at his wedding) to name a few. Through the years, Moss represented the likes of Mia Farrow, Bette Davis, Robert Vaughn, Tom Bosley, Elizabeth Montgomery, John James (Dynasty) Cliff Robertson, and most importantly, Rita Hayworth with whom he became close friends until the end of her life. Budd will also discuss his marriage to actress, Ruth Roman (Strangers on a Train) and his friend, Larry King, who also wrote the forward to his recently new book, “Hollywood: Sometimes the Reality Is Better Than The Dream” which will be available for purchase. When school is closed, the Gold Coast International Film Festival is OPEN! See great short films specially selected for a family audience and participate in fun hands-on movie-themed art activities. Includes free lunch courtesy of Anthony’s Coal Fired Pizza. All ages are welcome! Battling the sexism and stereotypes made sturdy in the 1950s, thirteen women founded the Ladies Pro Golf Association (LPGA). Rare archival footage, historical re-enactments and current-day interviews with surviving founders and leading players present an underdog story never before seen. Despite competing against one another on the greens, these pioneers worked together to keep their dreams of professional golf careers alive. From child prodigy fame to Olympian status, each member left a sports world legacy that lives on today. Director Francesco Carrozzini creates an intimate portrait of his mother, Franca Sozzani, the legendary editor-in-chief of Italian Vogue. From the ridiculous to the sublime, her astonishing but often controversial magazine covers have not only broken the rules but also set the high bar for fashion, art and commerce over the past 25 years. From the legendary “Black Issue” and the “Plastic Surgery issue” Sozzani remains deeply committed to exploring subject matter off limits to most in order to shake up the status quo and occasionally redefine the concept of beauty. Kate Dandel’s quirky and charming feature-length documentary debut inspires the average athlete in all of us while offering unique insight into the lives of several elite tennis athletes—who just happen to be over age 80. Over the course of one championship season, the film follows several players competing for the ‘gold ball’ trophy awarded to National Champions in tennis. Characters include a former Big 10- basketball coach, a retired litigator, an aging comedian, and the founder of “Black Tennis Magazine.” As we witness the routines of these creaky warriors, we are reminded that sometimes just getting to the courts is half the battle. But after the first serve, we forget that most of these competitors retired from their careers 30 years prior and we realize they’re driven by the same motivations and concerns as athletes a quarter of their age. A film to inspire viewers of every age to reset what we think about ‘old age’ and whom we consider champions. The Gold Coast International Film Festival continues its commitment to short film excellence, sharing some of the best new short films with our audience. We are proud to host a number of New York, Long Island, and World premieres, featuring up-and-coming filmmakers and festival winners. Keep an eye out for some of these at the Academy Awards. You’ll see comedy, romance, drama, animation, thrillers, sci-fi, and much more. We’ve got films from around the world, spectacular student films, and films directed by and featuring stars from today’s hit TV shows and movies. You’re sure to laugh, be moved, fall in love, and discover some great new talent. In addition, there will be Q&As with actors and filmmakers at our shorts screenings, and there may even be some surprise appearances! Academy Award-winning writer and director Preston Sturges delivers a hilarious satire on the American penchant for hero worship in this quick-witted comedy classic. Nominated in 1945 for an Academy Award for best screenplay and selected for preservation in the National Film Registry. Starring Eddie Bracken, Ella Raines and William Demarest. What we know today about many famous musicians, politicians, and actresses is due to the famous work of Harry Benson. Initially, he captured vibrant and intimate photos of the most famous band in history; The Beatles. His extensive portfolio grew to include iconic photos of Muhammad Ali, Michael Jackson, and Dr. Martin Luther King, Jr. His wide-ranging work has appeared in publications including Life,Vanity Fair and The New Yorker. Benson, now 86, is still taking photos and has no intentions of stopping. Featuring interviews with Sharon Stone, Alec Baldwin, Donald Trump, Dan Rather, James L. Brooks, Henry Kissinger, Ralph Lauren, Joe Namath and more. Harry Benson: Shoot First is as vital as the photographer himself and his subjects, a thrillingly energetic trip in unforgettable images. Q&A following the film with Brianna Perez and Kokoe Tanaka-Suwan, the student and teacher featured in the film. The event will also include a performance of music inspired by the film by the LIU Post String Ensemble with invited high school guest musicians, conducted by Professor Maureen Hynes. Is the Holocaust funny? Director Ferne Pearlstein (Sumo East and West, Imelda) doesn’t shy away from the taboo topic of humor, delving deep into pop-culture to find out where to draw the line, and whether that is a desirable—or even possible—goal. Back by popular demand! From Academy Award® winning director Roger Ross Williams, this deeply inspirational is the story of Owen Suskind, a young man who was unable to speak as a child until he and his family discover a unique way of communicating – through the world of classic Disney animated movies. He learned about empathy, love, loss and brotherhood with the help of Jafar, Simba, Ariel and many other characters. This emotional coming of age story follows Owen as he graduates towards adulthood and takes his first steps towards independence. A testament to the power of art and a shining example of what it can do. WINNER Sundance Film Festival Best Director (US Documentary) and recipient of several film festival Audience Awards, you will be glad to get to know Owen and his family in this deeply moving and entertaining film. Aging actor Lester (Gabriel Byrne) has lost his way. In this often humorous, yet warmly poignant story, love and friendship, jealousy and re-discovery, career, family, and friends (Nathan Lane, Frances Conroy) intertwine as Lester navigates the perplexing realities facing so many of us as we pursue dreams and dignity. A film about hanging out, hanging in, and hanging on. Come see some of the best films and filmmakers representing our region in a special program highlighting these up-and-coming and established filmmakers. Screening will be followed by a Q&A panel with several of the filmmakers plus Lawrence Smith, of Mad Riot Entertainment, an Executive Producer of GCIFF’s Special Presentation “Burn Your Maps” and David Paterson, screenwriter of Lionsgate’s new release “The Great Gilly Hopkins”, Disney’s “The Bridge to Terabithia” and more. This is a program for filmmakers, aspiring filmmakers and audiences who just love film and learning about all the behind-the-scenes details of how to take a film from script to screen. This is a FREE event but you must reserve tickets. On the Map, a fast-moving, emotional, and awe-inspiring documentary, recounts the story of how the 1977 Maccabee Tel-Aviv basketball team that no one thought could win toppled the four-time defending Soviet team and put Israeli basketball firmly on the map. 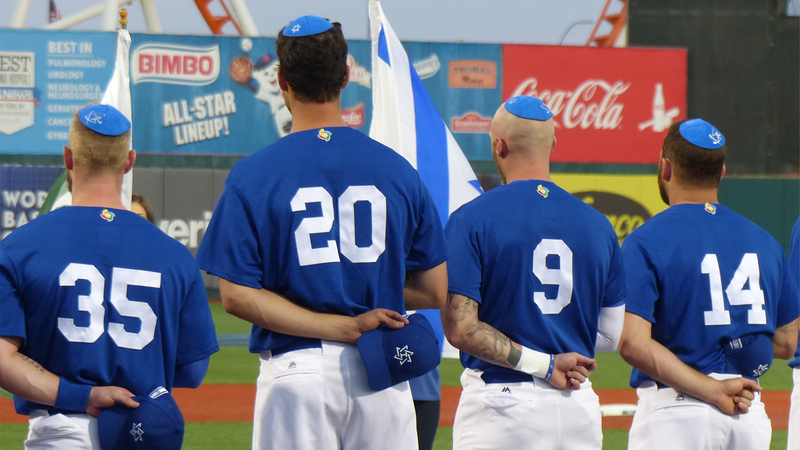 Featuring interviews with the Jewish-American athletes who made history, combined with the pulse-pounding action of a high-stakes game with an incendiary political situation at the height of the Cold War, director Dani Menkin delivers a film that honors Israeli heroes, mesmerizes fans of the game and captures the spirit of a nation triumphant and victorious against all odds. Golden Globe winner and Oscar nominee for Best Foreign Language Film (1972) The Policeman is an Israeli cinematic classic. This good-hearted, bittersweet comedy features Shaike Ophir (in what is considered one of his finest performances) as Azulai, a policeman in Jaffa, who is beloved by everyone who knows him — his police colleagues and the criminals on his beat. But he is also completely ineffectual at law enforcement. His superiors want to send him to early retirement, but he would like to stay on the force, and the criminals of Jaffa don’t want to see him leave either. Directed by legendary satirist Ephraim Kishon. Meet Tajikistan’s answer to the Jackson family. Nearly 80, Allo “Papa” Alaev rules his celebrated Bukharian folk music clan with an iron tambourine. Beginning with his unilateral decision to emigrate to Israel, the gifted musician micro-manages nearly every aspect of their lives, both on stage and off. From every meal made in his kitchen to what instrument each member will play, the patriarch accepts nothing less than total commitment and obedience. Every child and grandchild lives in their single-family house in Tel Aviv. All but one, that is. His only daughter, Ada, chose her own way in life, a sin her father will not forgive. As generations clash over new musical directions, competing personal interests and Papa’s advancing age, the family show must go on—but who will lead the band? Set to a blazing tribal soundtrack, drama and drumbeats sing out from every entertaining exchange in this grand family affair. Come celebrate up-and-coming young filmmakers (grades K-12). We’ll screen the winning short films from over 100 submissions in from our 2nd annual Young Filmmakers Program, plus have working filmmakers on hand to answer questions for all young filmmakers and filmmakers-to-be. This is a FREE event but you must reserve tickets in advance. In this comedy-drama, 82-year-old curmudgeon Raymond (Frank Langella) tells his family that he has made arrangements to be euthanized in Oregon. His daughter Kate (Christina Applegate) is determined to stop him. But it’s Kate’s husband Brian (Billy Crudup) who gets the unlucky task of driving his father-in-law from NY to Oregon and convincing him that he really doesn’t want to die. The problem: Brian hates Raymond. 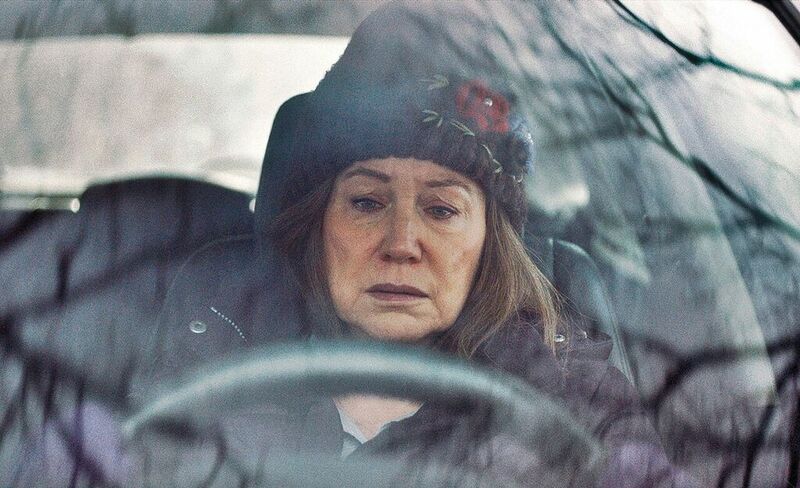 And with Raymond’s not-entirely-welcome wife (Mary Kay Place) tagging along for the journey, it’s just in-laws and the open road for the next 3000 miles. 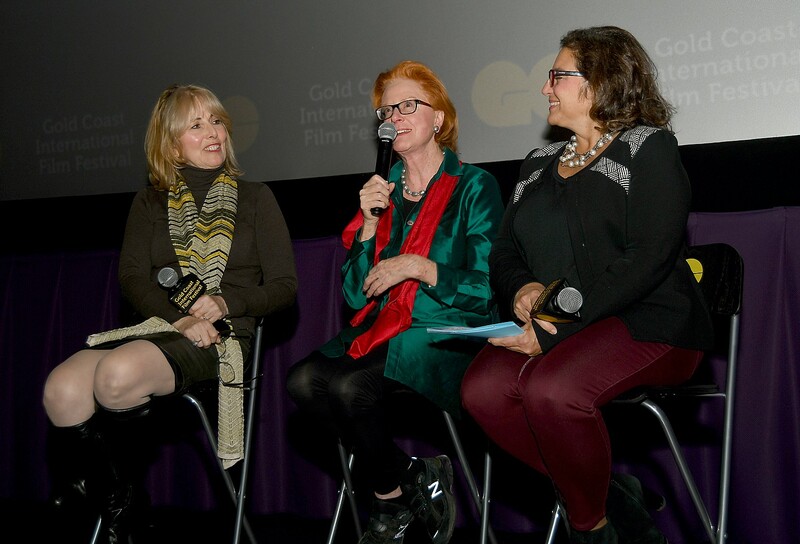 The 2015 Gold Coast International Film Festival announces an exciting slate of films for this year’s Festival taking place November 9 – 15, 2015 in venues throughout the north shore of Long Island, and once again – everyone’s invited for an exciting week of films, parties, filmmaker Q&As, and glamour. The Festival kicks off with an intimate conversation with award-winning writer, director and producer Morgan Spurlock (“Super Size Me”) being held on the campus of LIU Post on November 9, 2015. This event will include a special screening of Spurlock’s new short film CRAFTED. The fifth anniversary of the Festival will feature over 60 films and dozens of filmmakers at screenings and events in venues throughout the Town of North Hempstead region, including Soundview Cinemas in Port Washington, the Bow Tie Cinemas in Great Neck/Port Washington/ Manhasset/ Roslyn, the Gold Coast Arts Center in Great Neck and the campus of LIU Post. Filmmakers scheduled to attend include: award-winning director/producer/screenwriter, Morgan Spurlock; actor Lou Diamond Phillips, star of Showtime’s Homeland, Navid Negahban; Patricia Riggen director of the new Warner Brothers film The 33, starring Antonio Banderas, Juliette Binoche and Lou Diamond Phillips; award winning filmmakers Michael Cuesta (Exec. Producer Homeland), Rick Goldsmith, Yael Melamede and Andrew Horn; WNBA superstar Chamique Holdsclaw; several members of the band Twisted Sister who will join us for the US premiere of a new film about their rise to fame, Emmy-winning journalist Kristin Thorne – plus many more filmmakers and special guests such as Michael Landers, the Long Island ping-pong champion featured in the film Top Spin. 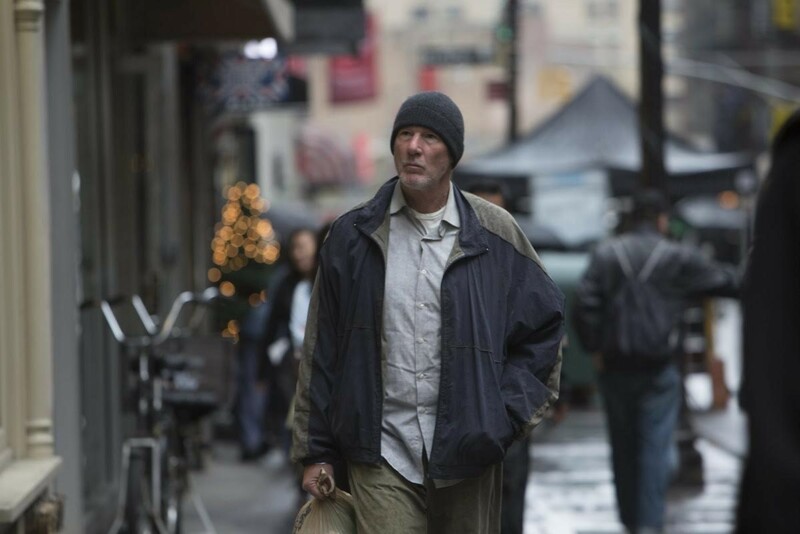 Films this year showcase Hollywood’s best actors including Richard Gere, Oliver Platt, Rene Russo, Jason Sudeikis, Rebecca Hall, Christopher Walken, Amber Heard and many more industry stars. Award-winning films from the world’s most prestigious festivals (Cannes, Toronto, Sundance, Tribeca) will be screened, plus over 25 incredible short films, with Q&As with visiting shorts filmmakers. Once again we are offering FREE tickets to all screenings for veterans and current military personnel, courtesy of 1-800-Flowers.com. Lying gets easier the more you do it—that is, until you get caught. This humorous and engaging documentary, inspired by the work of behavioral economist Dan Ariely, interweaves personal stories, expert opinions, behavioral experiments, and archival footage and creates a fascinating and insightful inquiry into why people lie and the very real effects it can have. Q&A with Director Yael Melamede and Ethics law experts Kevin Kearon, Esq., Steven Leventhal, Esq. and Omid Zareh, Esq. Optional CLE credit will be offered at the event for practicing attorneys. The Recycled Orchestra, a youth group playing instruments made entirely out of garbage, is catapulted into the global spotlight when their story goes viral and is featured on 60 Minutes. This amazing and inspirational doc is a testament to the power of music and the resilience of the human spirit. Sponsored by the Katz Institute for Women’s Health of the North Shore-LIJ Health System. New York Premiere Two-time Academy Award nominee Rick Goldsmith crafts an intimate profile of Chamique Holdsclaw, who became the best and most famous women’s basketball player on the planet until her career was derailed by depression and near-suicide. Since leaving the WNBA, she has become a powerful mental health advocate and role model. Q&A with Director Rick Goldsmith, WNBA superstar and subject of the film Chamique Holdsclaw and North Shore-LIJ Health System distinguished experts in psychiatry, sports medicine and women’s health. In this warm comedy of music, career comebacks and family dysfunction, aspiring artist Jude (Amber Heard) heads to the Hamptons home of her father (Christopher Walken), an over-the-hill crooner desperately charting his musical comeback. Over the past five years, the festival has brought the latest Hollywood hits and Indie favorites to standing room only audiences throughout the fabled Gold Coast of Long Island. Add A-list celebrities and unforgettable events to the mix and it’s easy to see why GCIFF has become the “go to” Festival for film buffs and the public (it is also the last major film festival on the East Coast before Awards season). The Festival is produced by the Gold Coast Arts Center. Previous honorees and special guests of the festival and the Gold Coast Arts Center include film industry VIPs Francis Ford Coppola, Hugh Grant, Baz Luhrmann, Brian Dennehy, Paul Sorvino, Ed Burns, Bruce Dern, Isabella Rossellini, Eli Wallach, Gabriel Byrne, Bill Plympton, Phil Donahue, Phylicia Rashaad, Joan Allen, Jay McInerney and Michael Cuesta, as well as composer Morton Gould, artists James Rosenquist, Oleg Cassini, Edwina Sandys and Bob Gruen, comedian Susie Essman, Broadway stars Kelli O’Hara, Melissa Errico and Savion Glover, and 4-time Oscar winner for production and costume design Catherine Martin. Sponsors and partners of this year’s GCIFF include founding partners the Town of North Hempstead and Douglas Elliman Real Estate, longstanding major partners LIU Post and Nassau County IDA as well as AMC Networks, Deluxe Entertainment Services Group, Panavision, A.L. Sarroff Fund, Katten Muchin Rosenman LLP, J.M. Kaplan Fund, The Katz Center of North Shore –LIJ Health System, LVR Rental, Samar Hospitality, The Andrew Hotel, Stella Artois and The Amsterdam at Harborside as well as 1-800-Flowers, WLIW21, New York Women in Film & Television, Anton Publications, Blank Slate Media, Care Connect and many others. The Gold Coast Arts Center is a not-for-profit 501(c)(3) organization dedicated to promoting and supporting the arts through education, exhibition, performance and outreach. For over 20 years the center has brought the arts and arts in education experiences to tens of thousands of people throughout our region through 1) School for the Arts, which offers year-round classes in all visual and performing arts to students of all ages and abilities, (2) Free public art gallery, (3) Concert and lecture series, (4) Outreach programs, which each year bring artist residencies, after-school programs, school assemblies, teacher training workshops and parent-child workshops to students, senior citizens, teachers and others in underserved communities throughout our region, (5) Year round film screening and discussion series and (6) Gold Coast International Film Festival, now in its 5th year. The Arts Center is an affiliate of the John F Kennedy Center for the for the Performing Arts: Partners in Education Program, and National Gallery of Art, both located in Washington DC. Tickets have just gone on sale for the 4th Annual Gold Coast International Film Festival (GCIFF), taking place from November 3-9, 2014, organized by the Gold Coast Arts Center, in Great Neck, in conjunction with the Town of North Hempstead, Long Island. This year, the festival is honoring four-time Academy Award-winning Production and Costume Designer (The Great Gatsby, Moulin Rouge!) Catherine Martin with the Gold Coast International Film Festival Artist of Distinction Award, at the Opening Night Gala, taking place at Leonard’s Palazzo 555 in Great Neck on Monday November 3. Also being honored is President of the Gold Coast Arts Center, Michael Glickman, who will accept the Man of the Year Award; and Marie Cecile Flageul & Jonathan Cohen (the graffiti artist known as Meres One, who was the curator of 5 Pointz in Queens) who will receive the Art & Activism Award. Q&A with the filmmaker Fred Carpenter and the stars Armand Assante, Sean Young and Robert Clohessy. An amazing documentary about firefighters from Detroit produced by Denis Leary’s company. Q&A with one of the producers (Jim Serpico – from Long Island) and Kristin Thorne from ABC News. A masterful, inspiring, captivating portrayal of the female aging process where great minds of medicine and science come together with touching human interest stories from Okinawa to Jackson Hole. Q&A after the film with Keith Famie (director) and a panel of NSLIJ experts. The remarkable and moving story of a professional classical guitarist, whose life was saved by music and who gives back in an unforgettable way. Featuring a Q&A and performance by the film’s subjects. This wildly original film tells the story of a bartender/artist/slacker who gets mixed up in Jerusalem’s criminal underground. A box office hit in Israel, THE WONDERS combines mystery, comedy, psychological thriller, political intrigue, and romance to create a unique and compelling movie. Official selection of the Tribeca Film Festival. Q&A with Dean Movshovitz (Director of Film & Media; Consulate General of Israel). In this Big Chill for Generation Y, a group of childhood friends comes together for the last time a the scenic lake house where they all grew up, to comfort each other, rekindle old flames, and drunkenly stumble down memory lane. Directorial debut from award-winning actor Chris Lowell (The Help, Veronica Mars). Q&A with producer after the film. A fascinating, little-known tale filled with heart, heroism, and high-flying chutzpah, ABOVE AND BEYOND is the true story of Jewish-American pilots who volunteered to fight for Israel in the War of Independence. This ragtag band of brothers turned the tide of the war, preventing the annihilation of Israel at the very moment of its birth. Produced by Nancy Spielberg. Winner of the top prize at the Tribeca Film Festival and nominated for 12 Israeli Film Academy Awards, ZERO MOTIVATION is a zany, dark comedic portrait of everyday life for a unit of young, female Israeli soldiers. Q&A with director Talya Lavie, who will be accepting the first Gold Coast International Film Festival Screenwriter’s Award and Nancy Gerstman, co-President of Zeitgeist Films. In this fast-paced, adrenaline-packed thrill ride, a new recruit of an elite police unit races against time as she hunts down an organization responsible for a series of bold, explosive robberies. This smart, innovative thriller will show you why South Korean film is giving Hollywood a run for its money. A coming-of-age story set amid the expulsion of Jews in Iraq in the 1950s, where a 16-year-old caught in the middle of conflicting attitudes must make a difficult decision that will change his family’s destiny. Q&A after the film with Maurice Shohet, President of the World Organization of Jews from Iraq. Actor and tried-and-true New Yorker Michael Rapaport delivers an unabashed love letter to the Knicks with this fast-moving tribute to the team’s glory days. In the late ’60s, basketball was the city’s forgotten sport. Enter an unlikely band of scrappy team players, many of them future hall-of-famers, who would transform the team into one of the NBA’s most dazzling squads. Official selection of the Tribeca Film Festival. Q&A with NY Times sportswriter Harvey Araton. This important documentary chronicles the incredible personal journeys of two US government whistleblowers—Thomas Drake and John Kiriakou, who first revealed waterboarding as a CIA practice—and the price they paid. Official selection of the Tribeca Film Festival. Post screening Q&A with film’s director James Spione. In tribute to the late, great Joan Rivers, we are delighted to bring back this excellent documentary that welcomes viewers into the legendary icon’s comedic process and private dramas, as she fights tooth and nail to keep her American dream alive. Followed by a Q&A with comedians and those who knew Joan, celebrating her comedic legacy. For more information and a complete festival line up visit www.goldcoastfilmfestival.org or follow on Twitter @goldcoastfilm for Festival updates. Now in its third year, the Gold Coast International Film Festival, taking place Oct 21-27, 2013 throughout the town of North Hempstead, will turn Long Island into “Laugh Island” and spotlight Comedy with a program of films and events loaded with legendary comedians, writers and actors. The theme carries over to this year’s opening night annual Benefit Gala honoree, Susie Essman, “the hysterically inappropriate” star of HBO’s “Curb Your Enthusiasm,” who will be the recipient of the Artist of Distinction, Gold Coast International Film Festival Executive Director Regina Gil said during the press announcement of the festival line-up. Susie Essman is featured in one of the festival films, “The Business of Comedy,” a documentary co-produced by comedian Jeffrey Gurian about what it’s like to make a living in comedy. It also stars Robert Klein, George Wallace, Tom Dreesen, Shecky Greene, Judy Carter, and comedy club owners Budd Friedman, Rick Newman, Richie Tienken and LA Comedy Store manager Tommy Morrie. The screening is followed by one of the free events offered during the festival, a Q&A with Jeffrey Gurian, Richie Tienken, Gary Licker and Scott Sobel and a signing with Gurian for his new book, “Make ‘Em Laugh.” (Soundview Cinema, Port Washington, Sat. Oct 26, at 5 pm). This “Laugh Island” theme is also represented by the screening of “Comedy Warriors: Healing Through Humor”, a documentary that features five severely wounded Iraq/Afghanistan veterans who are given the opportunity to explore their experiences through the healing power of humor as they work with professional comedy writers and A-List comedias including Zach Galifianakis, Lewis Black, Bob Saget and BJ. Novak, who help them write and perform stand-up comedy routines. The screening features a Q&A with Joe Kashow and Bobby Henline, two of the Comedy Warriors featured in the film. A live event, “Set List! Stand-Up Without a Net,” is a chance to see top comedians taking on bizarre, outrageous and ridiculous topics as the audience follows along on the screen behind the performer. The show is created by Paul (The Aristocrats) Provenza and his partner Troy Conrad. is being presented Friday, Oct 25, 8 pm at the Gold Coast Arts Center (formerly known as the Great Neck Arts Center). The most remarkable aspect of the GCIFF – aside from being able to see top-quality films before they are in wide distribution and in our own neighborhood – is the opportunity that most of them afford to hear from principles associated with the film – directors, producers, screenwriters, actors. One of the most wonderful aspects of the Gold Coast International Film Festival are the events, panels and workshops (many free) which bring together major film makers and creative experts. A major event, which is free,” A Conversation with Jay McInerney,” features the renowned writer of “Bright Lights, Big City,” in an intimate onstage discussion looking ack at the making of the film version of his novel (Sat. Oct. 26, 1:30 pm at Port Washington Library). “A Star is Born: A Prudent Parent’s guide to Getting Your Kid in Show Business” is likely to be hugely popular. This free event let’s you spend an afternoon with the legendary entertainment attorney Steven Beer (he helped launch Britney Spears) and Broadway Star and Long Island native Nikki Blonsky of “Hairspray” fame (Sun, Oct 27, noon, at the Gold Coast Arts Center). Another important panel is being presented in conjunction with a life-affirming film, “The Genius of Marian,” which follows the filmmaker’s mother who at age 61 is diagnosed with early onset Alzheimer’s, and follows her as she works on a book celebrating the life of her own mother, artist Marian Steele. A panel that follows the film features filmmaker Luke White and North Shore-LIJ Health System experts who specialize in Geriatrics, Behavioral Health and Alzheimer’s research. The program is sponsored by NSLIJ’s Katz Institute for Women’s Health (Mon, Oct. 21, 6:30 pm at the Soundview, Port Washington). A program that will be of particular interest: Ambassador Yehuda Avner will answer questions and sign his best-selling book after the Long Island premiere of “The Prime Ministers,” a documentary based on his book which explores six decades of Israel’s history and brings to life never-before told stories about Levi Eshkol, Golda Meir, Yitzhak Rabin, Menachem Begin and Shimon Peres .A portion of the proceeds from the event will benefit The Simon Wiesenthal Center (Sun, Oct 27, 4 pm, Bowtie Great Neck Cinema). Another that is certainly to generate interest is “Dancing in Jaffa,” an inspiring documentary about how famed ballroom dancer Pierre Dulaine teaches ballroom dance to pairs of 11-year old Palestinian Israelis and Jews, changing their perspective, will feature an opportunity to talk with Dulaine (Sun. Oct 27, 1 pm, Bow Tie Great Neck). The festival features more than 50 films which are selected from hundreds that are screened by the curators (in other festivals, the filmmakers pay an entrance fee to be included). The Gold Coast International Film Festival has been drawing filmgoers from all over Long Island and from Manhattan (most of the movie theaters and venues are within walking distance of the Long Island Railroad Stations in Great Neck, Manhasset and Port Washington). Tickets can be purchased in individual segments (12 general; $10/seniors and students, visit goldcoastfilmfestival.org or call 516-829-2570 for special event pricing). Passes include the VIP All Access Pass, $275, which provides access to all screenings, panels, parties and special events (excluding the Opening Night Benefit Gala); and a 6-PackFlex Pass, $60, which gives you six film tickets for the price of five, which can be used in any combination. For festival information and to order tickets, visit www.goldcoastfilmfestival.org, 516-829-2570. The Gold Coast International Film Festival invites YOU to audition for a chance to appear in this year’s festival trailer, win a free “All-Access VIP Pass” and walk the red carpet with Hollywood stars! It’s easy to enter online or in person. Just take a 15 second video of yourself acting out your favorite movie line and submit using Instagram or YouTube. Or, come to a Live Audition and we’ll shoot your 15 second video for you. Give us your best “You talkin’ to me?”, “Show me the money”, “There’s no place like home”, or “And this one time, at band camp…” Or any other memorable movie line you like. Be as funny or dramatic as you want. But give it everything you’ve got! 1) Use INSTAGRAM to take a video of yourself acting out your favorite movie line. 1) Take your 15-second video using your phone, video camera or computer. 2) Upload it to YOUTUBE and copy the address. 3) Visit http://bit.ly/17lpQ3O and fill out our entry form, including the address of your YouTube video. You’re done! We’ll be holding live auditions on location at various events around Nassau County this summer. Just come ready to shine at any of the following locations: *July 19 at the Queen & Satisfaction concert from 5:30-7pm (Teddy Roosevelt Park, Oyster Bay), *July 20 at the Cast of Beatlemania concert from 6:30-8pm (Michael J. Tully Stadium Field, New Hyde Park); *July 22 at the Harry Chapin Tribute concert from 5 – 6:30pm (Eisenhower Park, East Meadow); *July 28 at the Monsters Inc. screening from 6:30-8pm (Clinton G. Martin Park, New Hyde Park); * August 1 at the Best of…Short Film screening from 6:30-7:30pm (Great Neck Arts Center, Great Neck); August 8 at the Big Shot: Billy Joel Tribute from 6:30-8pm (Teddy Roosevelt Park, Oyster Bay). Dates and times subject to change. As many as 30 CONTEST WINNERS will be selected by our jury to appear in this year’s festival trailer, TV commercial and online promotions. Vote for your favorites on the Facebook page from July 15 – August 9. One vote per day! For all contest details visit http://www.facebook.com/GCIFF . See the current Film Series lineup at www.goldcoastfilmfestival.org.